Yowza, yowza, step right up, watch yer step! Dice Hate Me has an important announcement to make! Granted, the cat’s been out of the bag for over a week now, but I figured we could use a little something official on the site just for matter of record. For those who haven’t heard, Dice Hate Me is going beyond just playing games – we’re now in the business of designing, producing and publishing games. The first game to come out of our stables is Carnival, a set-collecting card game that integrates dice in a unique and fun way. 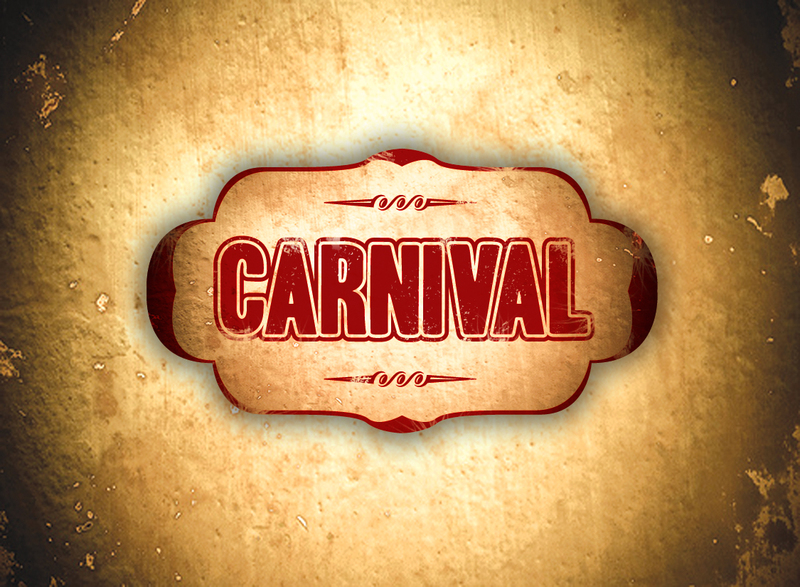 Carnival was conceived by Monkey238 in a little over an hour – yes, an hour – and I recognized its immediate potential. We’ve polished it and playtested it, and we think it’s almost ready for primetime. You all can check out the updates page, which will soon become the much more slick Carnival home page in the next couple of weeks. Be sure to keep your eye on Dice Hate Me and the Carnival page as we draw closer to our official rollout on Kickstarter! Carnival is going to be fantastic, but it’s only the beginning of something great. Monkey238 and I have a lot of fun game ideas brewing, with two that are almost set to enter the prototype phase – including one monster release that has been almost 10 years in the making. 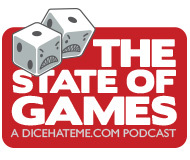 Dice Hate Me will continue to provide top-notch gaming news & reviews, but now you all can also look forward to quality releases from Dice Hate Me Games as we strive to bring you entertaining, innovative and challenging titles from us and others. The future looks fun! This is great news. I played Carnival at Origins2011 and it was both fun and well designed…of course, DiceHateMe’s letting me win didn’t hurt my opinion any. Very cool. I look forward to playing soon! Can’t wait to play… will also be in want of autographed copies. In classic Kirk style – “MUST…Play…Carnival”. Good luck Monkey and Monkeyboy with the new game. If you need my input ever, you know where to find me – ha! David will probably warn you against it – double ha! I tried to post earlier that we (Colleen and I) were extremely excited for the worldwide release of “Carnival”, but only that we will be in terrible want of autographed copies. Is this so wrong? Ben – Hah! This is not wrong at all – these are natural feelings, your body will become accustomed to them. Be free in them. Seth – Thanks, bud! I will definitely hit you up for some feedback when the time comes. We appreciate the support! Tom – Soon… very, very soon. DJ – Can I get a w00t?! Alf – We look forward to your thoughts on Carnival! We hope you enjoy it. David – Thanks! And you won fair and square; I was thanking my lucky stars that you did, so you’d spread the good word. Glad to see the world can now hear about this fun little game. I enjoyed playing it Origins and look forward to it’s further development. It looked great and played well, considering it’s age. Good work…both of you!